Essential oil 100% pure and natural. Properties / Benefits : - Stimulates the body’s natural defences- Anti-inflammatory - Relaxing and anti-stress - Anti-allergy - Anti-infection - Balances the nervous system - Pain-relieving - Stomach complaints - Muscular and joint complaints * Find the virtues of each oil in the Galeo essential oils guide, by Alina and Christophe Moyon, pharmacy doctors. Essential oil 100% pure and natural. 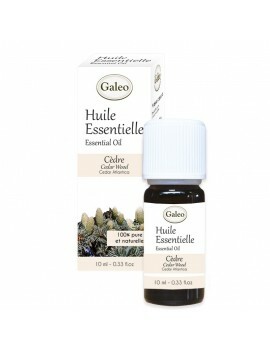 Properties / Benefits : - Atmospheric purifier- Balances the nervous system - Stomach complaints - Relaxing and anti-stress * Find the virtues of each oil in the Galeo essential oils guide, by Alina and Christophe Moyon, pharmacy doctors. Essential oil 100% pure and natural. Properties / Benefits : - Stimulates the body’s natural defences - Skin regeneration - Anti-viral- Balances the nervous system - Anti-infection- Anti-fungal * Find the virtues of each oil in the Galeo essential oils guide, by Alina and Christophe Moyon, pharmacy doctors. Essential oil 100% pure and natural. Properties / Benefits : - Stimulates the body’s natural defences - Anti-infection - Energizing- Anti-fungal - Pain-relieving * Find the virtues of each oil in the Galeo essential oils guide, by Alina and Christophe Moyon, pharmacy doctors. Essential oil 100% pure and natural. Properties / Benefits : - Stimulates the liver- Problem skin- Skin regeneration- Draining * Find the virtues of each oil in the Galeo essential oils guide, by Alina and Christophe Moyon, pharmacy doctors. Essential oil 100% pure and natural. Properties / Benefits : - Skin regeneration- Draining * Find the virtues of each oil in the Galeo essential oils guide, by Alina and Christophe Moyon, pharmacy doctors. Essential oil 100% pure and natural. Properties / Benefits : - Stimulates the body’s natural defences - Atmospheric purifier - Anti-fungal - Circulation problems - Anti-viral - Stomach complaints - Skin regeneration - Problem skin - Anti-infection - Stimulates the liver - Draining * Find the virtues of each oil in the Galeo essential oils guide, by Alina and Christophe Moyon, pharmacy doctors. Essential oil 100% pure and natural. Properties / Benefits : - Pain-relieving- Anti-fungal - Insect repellent * Find the virtues of each oil in the Galeo essential oils guide, by Alina and Christophe Moyon, pharmacy doctors. Essential oil 100% pure and natural. Properties / Benefits : - Anti-allergy- Stimulates the liver- Anti-inflammatory - Relaxing and anti-stress - Stomach complaints * Find the virtues of each oil in the Galeo essential oils guide, by Alina and Christophe Moyon, pharmacy doctors. Essential oil 100% pure and natural. 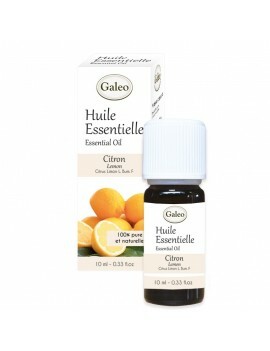 Properties / Benefits : - Anti-viral- Anti-infection- Breathing problems * Find the virtues of each oil in the Galeo essential oils guide, by Alina and Christophe Moyon, pharmacy doctors. Essential oil 100% pure and natural. Properties / Benefits : - Anti-viral- Anti-infection- Breathing problems - Stimulates the body’s natural defences - Atmospheric purifier * Find the virtues of each oil in the Galeo essential oils guide, by Alina and Christophe Moyon, pharmacy doctors. Essential oil 100% pure and natural. Properties / Benefits : - Pain-relieving- Muscular and joint complaints- Anti-inflammatory- Stimulates the liver * Find the virtues of each oil in the Galeo essential oils guide, by Alina and Christophe Moyon, pharmacy doctors. Essential oil 100% pure and natural. 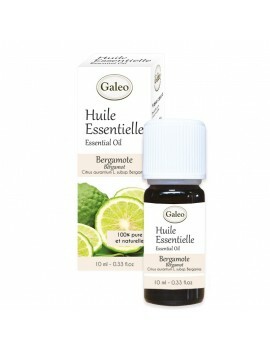 Properties / Benefits : - Anti-infection- Circulation problems- Atmospheric purifier- Muscular and joint complaints- Draining * Find the virtues of each oil in the Galeo essential oils guide, by Alina and Christophe Moyon, pharmacy doctors. Essential oil 100% pure and natural. Properties / Benefits : - Anti-inflammatory - Muscular and joint complaints - Skin regeneration - Anti-infection - Insect repellent - Problem skin- Atmospheric purifier- Anti-fungal - Perspiration issues * Find the virtues of each oil in the Galeo essential oils guide, by Alina and Christophe Moyon, pharmacy doctors. Essential oil 100% pure and natural. - Energizing- Pain-relieving - Stomach complaints - Muscular and joint complaints - Anti-inflammatory * Find the virtues of each oil in the Galeo essential oils guide, by Alina and Christophe Moyon, pharmacy doctors. Essential oil 100% pure and natural. - Stimulates the body’s natural defences - Anti-infection- Pain-relieving - Anti-fungal - Anti-viral - Problem skin * Find the virtues of each oil in the Galeo essential oils guide, by Alina and Christophe Moyon, pharmacy doctors. Essential oil 100% pure and natural. - Stimulates the body’s natural defences - Anti-viral - Skin regeneration- Anti-infection - Insect repellent - Relieves insect bites - Anti-fungal * Find the virtues of each oil in the Galeo essential oils guide, by Alina and Christophe Moyon, pharmacy doctors. Essential oil 100% pure and natural. 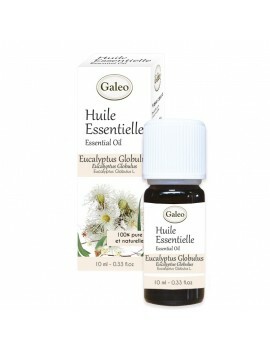 Properties / Benefits : - Stimulates the body’s natural defences - Anti-fungal - Insect repellent - Balances the nervous system - Pain-relieving - Anti-viral - Skin regeneration - Atmospheric purifier - Problem skin - Anti-infection - Relaxing and anti-stress - Muscular and joint complaints - Anti-inflammatory * Find the virtues of each oil in the Galeo essential oils guide, by Alina and Christophe Moyon, pharmacy doctors. Essential oil 100% pure and natural. - Anti-inflammatory - Relaxing and anti-stress - Anti-viral - Anti-fungal - Anti-infection- Skin regeneration * Find the virtues of each oil in the Galeo essential oils guide, by Alina and Christophe Moyon, pharmacy doctors. Essential oil 100% pure and natural. - Anti-inflammatory - Stomach complaints- Relieves insect bites- Anti-viral - Balances the nervous system - Anti-infection- Anti-fungal * Find the virtues of each oil in the Galeo essential oils guide, by Alina and Christophe Moyon, pharmacy doctors. Essential oil 100% pure and natural. - Atmospheric purifier- Balances the nervous system - Stomach complaints- Anti-fungal - Relaxing and anti-stress * Find the virtues of each oil in the Galeo essential oils guide, by Alina and Christophe Moyon, pharmacy doctors. Essential oil 100% pure and natural. - Anti-viral- Relaxing and anti-stress - Anti-infection - Balances the nervous system - Breathing problems - Anti-fungal * Find the virtues of each oil in the Galeo essential oils guide, by Alina and Christophe Moyon, pharmacy doctors. Essential oil 100% pure and natural. - Energizing- Anti-infecton- Muscular and joint complaints - Pain-relieving - Aids digestion - Relieves insect bites - Anti-viral - Anti-fungal * Find the virtues of each oil in the Galeo essential oils guide, by Alina and Christophe Moyon, pharmacy doctors. Essential oil 100% pure and natural. Properties / Benefits : - Stimulates the body’s natural defences - Anti-viral - Stimulate the liver - Relieves insect bites - Energizing- Anti-infection - Anti-fungal - Anti-inflammatory - Pain-relieving - Aids digestion - Muscular and joint complaints * Find the virtues of each oil in the Galeo essential oils guide, by Alina and Christophe Moyon, pharmacy doctors. Essential oil 100% pure and natural. - Stimulates the body’s natural defences - Anti-infection - Problem skin - Breathing problems - Draining- Circulation problems - Anti-viral- Anti-fungal * Find the virtues of each oil in the Galeo essential oils guide, by Alina and Christophe Moyon, pharmacy doctors. Essential oil 100% pure and natural. Properties / Benefits : - Energizing - Relaxing and anti-stress - Pain-relieving - Muscular and joint complaints - Stomach complaints * Find the virtues of each oil in the Galeo essential oils guide, by Alina and Christophe Moyon, pharmacy doctors. Essential oil 100% pure and natural. 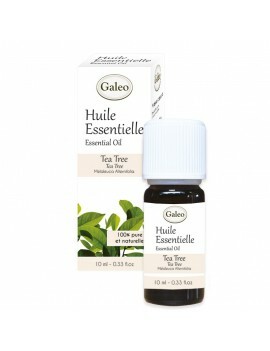 Properties / Benefits : - Atmospheric purifier- Balances the nervous system- Stomach complaints- Anti-fungal- Relaxing and anti-stress * Find the virtues of each oil in the Galeo essential oils guide, by Alina and Christophe Moyon, pharmacy doctors. Essential oil 100% pure and natural. Properties / Benefits : - Atmospheric purifier- Balances the nervous system- Draining * Find the virtues of each oil in the Galeo essential oils guide, by Alina and Christophe Moyon, pharmacy doctors. Essential oil 100% pure and natural. Properties / Benefits : - Stimulates the body’s natural defences- Anti-fungal - Anti-viral- Anti-infection * Find the virtues of each oil in the Galeo essential oils guide, by Alina and Christophe Moyon, pharmacy doctors. Essential oil 100% pure and natural. Properties / Benefits : - Stimulates the body’s natural defences- Breathing problems - Respiration issues- Anti-viral - Anti-fungal- Anti-infection - Problem skin * Find the virtues of each oil in the Galeo essential oils guide, by Alina and Christophe Moyon, pharmacy doctors. Essential oil 100% pure and natural. - Anti-viral - Balances the nervous system - Draining - Atmospheric purifier- Anti-fungal - Aids digestion - Problem skin * Find the virtues of each oil in the Galeo essential oils guide, by Alina and Christophe Moyon, pharmacy doctors. Essential oil 100% pure and natural. - Energizing- Stomach complaints * Find the virtues of each oil in the Galeo essential oils guide, by Alina and Christophe Moyon, pharmacy doctors. Essential oil 100% pure and natural. - Anti-allergy - Atmospheric purifier - Anti-viral - Muscular and joint complaints - Anti-infection- Breathing problems * Find the virtues of each oil in the Galeo essential oils guide, by Alina and Christophe Moyon, pharmacy doctors. Essential oil 100% pure and natural. - Energizing- Pain-relieving- Muscular and joint complaints * Find the virtues of each oil in the Galeo essential oils guide, by Alina and Christophe Moyon, pharmacy doctors. Essential oil 100% pure and natural. Properties / Benefits :- Stimulates the body’s natural defences - Anti-viral - Atmospheric purifier - Anti-allergy - Anti-infection - Balances the nervous system - Energizing - Breathing problems- Skin regeneration * Find the virtues of each oil in the Galeo essential oils guide, by Alina and Christophe Moyon, pharmacy doctors. Essential oil 100% pure and natural. - Stimulates the body’s natural defences - Anti-viral - Muscular and joint complaints - Energizing- Atmospheric purifier- Anti-viral- Anti-fungal * Find the virtues of each oil in the Galeo essential oils guide, by Alina and Christophe Moyon, pharmacy doctors. Essential oil 100% pure and natural. - Stimulates the body’s natural defences - Anti-infection - Anti-fungal - Energizing - Breathing problems - Anti-viral- Atmospheric purifier * Find the virtues of each oil in the Galeo essential oils guide, by Alina and Christophe Moyon, pharmacy doctors. Essential oil 100% pure and natural. - Stimulates the body’s natural defences - Anti-viral - Stomach complaints - Anti-infection - Anti-fungal - Energizing - Pain-relieving- Breathing problems - Muscular and joint complaints * Find the virtues of each oil in the Galeo essential oils guide, by Alina and Christophe Moyon, pharmacy doctors. Essential oil 100% pure and natural. Properties / Benefits : - Anti-infection - Circulation problems- Respiration issues- Relaxing and anti-stress- Draining ls guide, by Alina and Christophe Moyon, pharmacy doctors. Essential oil 100% pure and natural. Properties / Benefits : - Stimulates the body’s natural defences - Breathing problems - Problem skin - Anti-viral - Anti-infection - Anti-fungal ls guide, by Alina and Christophe Moyon, pharmacy doctors. Essential oil 100% pure and natural. Properties / Benefits : - Anti-inflammatory- Muscular and joint complaints- Balances the nervous system- Relieves insect bites- Anti-fungal- Relaxing and anti-stress ls guide, by Alina and Christophe Moyon, pharmacy doctors. Essential oil 100% pure and natural. Properties / Benefits : - Pain-relieving- Muscular and joint complaints- Anti-inflammatory- Relaxing and anti-stress - Skin regeneration ls guide, by Alina and Christophe Moyon, pharmacy doctors.